Local restaurant at St. Barthelemy...Highly recommended St. Barthelemy 'Presbytery Auberge' a lovely restaurant next to the church. There are four restaurants in Nontron also four in Piegut. 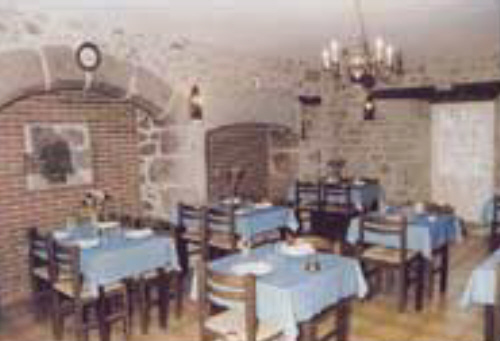 It has often been suggested to have a meal in Nontron's GRAND HOTEL PELISSON' as the food here is second to none. This is a family run and owned hotel and restaurant situated in the heart of Nontron. which if you get a glimpse are a fantastic sight. Prices range from 15 Euros to 37 Euros per person. 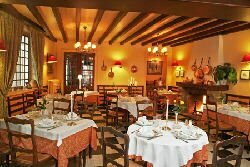 This is an ideal restaurant for a celebration or treat, where you can dress up or be as relaxed as you wish. During the summer you can enjoy your meal out on the terrace. Brantome has many restaurants, prices ranging from 10 Euros to 35 Euros. There is restaurant just off the main high street on the corner opposite a patisserie. You may have to book:- offers an excellent range of meals, well cooked and well presented.